It's been quite a year and we can't believe 2015 is already drawing to a close! 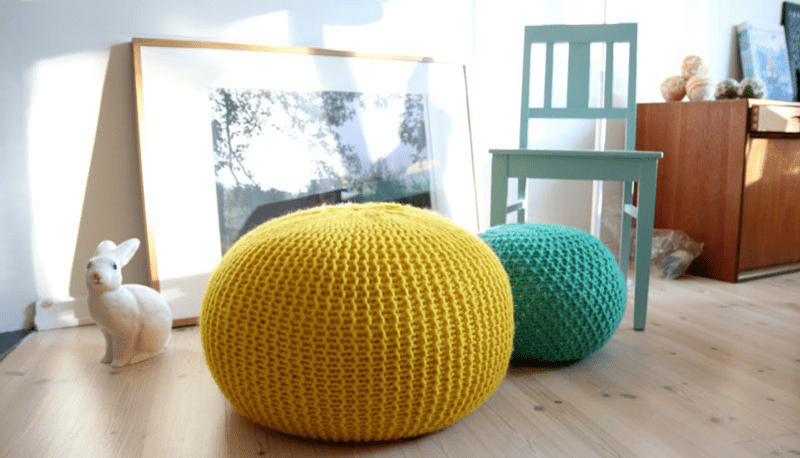 Our community has accomplished so much together in these last 12 months, from contest wins to the launching of Sprout Patterns, to the opening of hundreds of shops with promising new designers to explore. 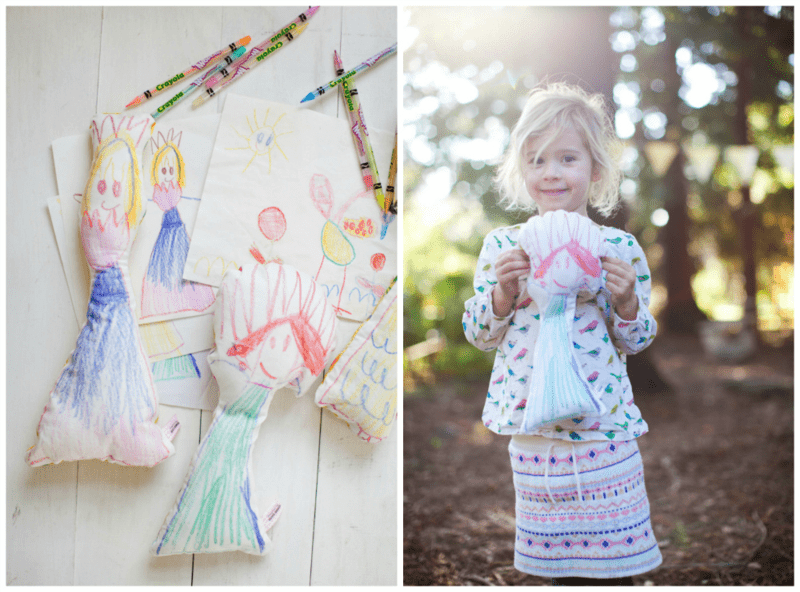 Take a walk down memory lane with us as we recount some of our favorite highlights of 2015! 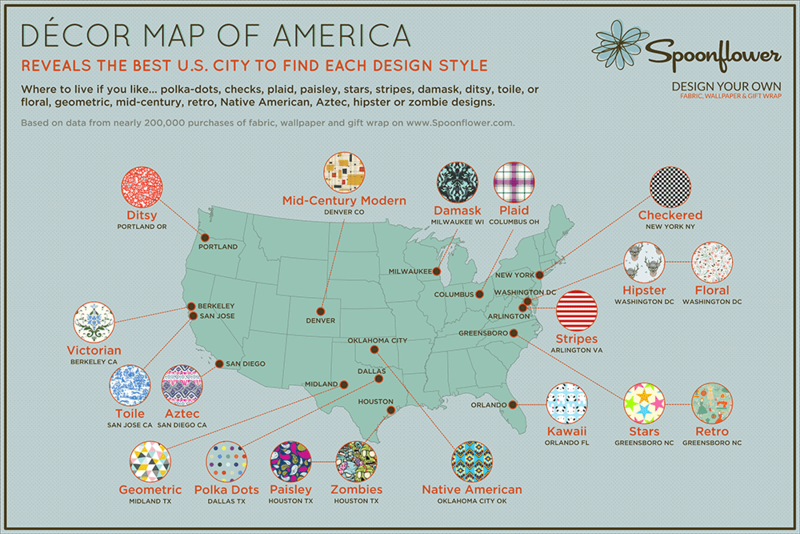 DURHAM, NC, Nov. 25 – A ground-breaking new “Décor map of America” pinpoints the best U.S. city to live for fans of each of 19 different design styles – from paisley to polka-dots, Victorian to mid-century modern, and Aztec to Native American. It reflects data from nearly 200,000 purchases on the website Spoonflower (www.spoonflower.com), which lets customers design and have printed their own fabric, wallpaper and gift-wrap. 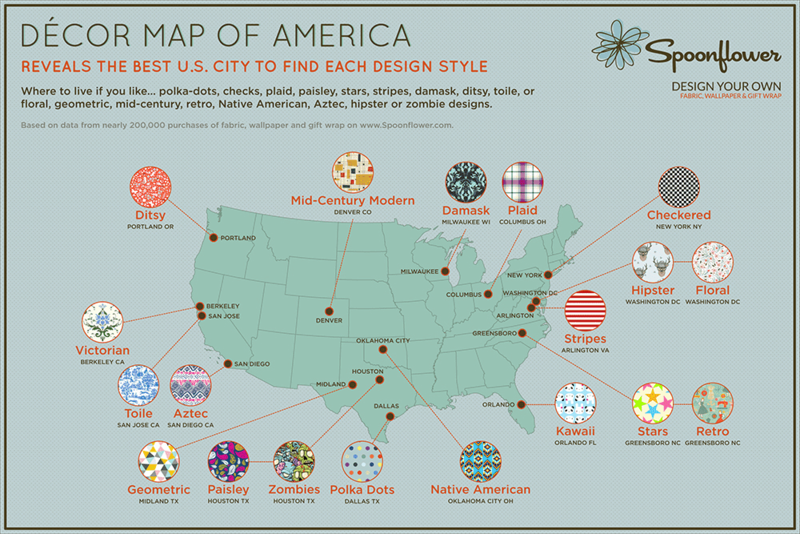 “Our map provides a unique insight into the décor tastes of America and the psyche of its cities,” says Stephen Fraser, co-founder of Spoonflower. “It also pioneers an entire new field of what we’re calling ‘décor geography’." Spoonflower designates as the “capital” of each design style the city where a higher share of customers than anywhere else have purchased that style. The findings of its study confirm some expectations, while confounding others. New York, for example, is capital of checkered designs – as in the black and white checks that adorned New York’s checker taxi-cabs for so long that they seem to have pierced the city’s subconscious.